Stamford, CT - CBRE Group, Inc. announced today that Jeffrey Dunne, Gene Pride and Travis Langer of CBRE’s Institutional Properties, represented Winthrop Realty Trust in the sale of Highgrove, a 93-unit Robert A.M. Stern designed ultra-luxury apartment community located in Stamford, CT to a private investment group for $87.5 million or $940,860 per unit. 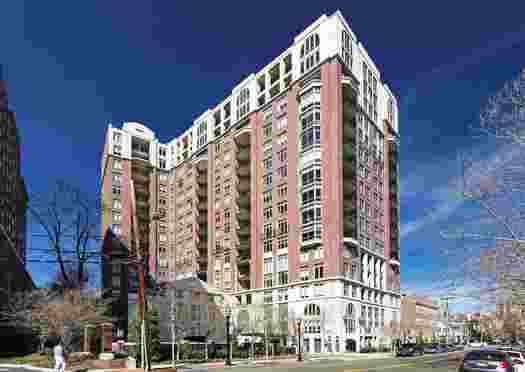 The new owners intend to continue operating Highgrove as the pre-eminent luxury rental community in the region though it was originally designed and built as an 18-story high-rise condominium community in 2011 with finishes and amenities that are comparable to exclusive white-glove doorman residences in Manhattan. These include grand resident lobby, clubroom, media screening room, wine cellar, caterer’s kitchen, private elevator entrances, expansive fitness center with sauna, steam room and pool facilities. Units feature gourmet kitchens with marble counters, Wolf & Sub-Zero appliances, oversized cabinets, 10’+ ceiling, crown molding, hardwood flooring, fireplaces, private balconies with expansive Long Island Sound views, 6 piece master baths and massive walk-in closets. The location in the heart of affluent Fairfield County appeals to residents seeking luxury typically found only in single family estates. The CBRE Institutional Properties specializes in the sale of investment properties in the suburban markets surrounding New York City, and also around the United States. CBRE Institutional Properties services a prestigious client base of institutions, corporations, private investors, developers and REITs and has closed over $11 billion in property sales in all property types over the last five years including $1.6 billion of apartment sales since 2014. CBRE Institutional Properties has a number of attractive apartment investment opportunities currently on the market including: Meridia, a 125-unit apartment community in West New York, New Jersey: Ashwood Valley, a 268-unit apartment community in Danbury, Connecticut; Windshire Terrace, a 226-unit apartment community in Middletown, Connecticut; Hawthorne Court, a 434-unit apartment community in Central Islip, New York; Cooper Place, a development parcel for 336 apartment units in Hempstead, New York; and The Record Site, a development parcel for 700 apartment units in Hackensack, New Jersey.